Summoners, the wait has been long, but the moment that you’ve been waiting for (and perhaps never even knew) has finally come! In a surprise video, Fire Emblem Heroes announced that a new Legendary Hero will debut today, on 1st April 2019. Wait, we just had a Mythic Hero a few days ago, but nevermind that! 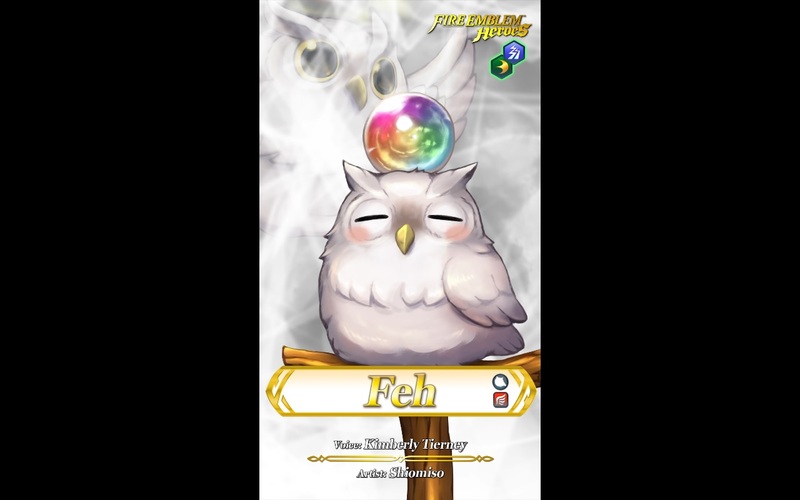 The new Legendary Hero is none other than Feh, the Order of Heroes’ messenger owl. Naturally, she’s a Flying type–and she has a brand new weapon type, Colourless Owl. Her stats look simply astounding and her skill set is mind-blowing, although we doubt they can be inherited by other Heroes. As well as vanilla Feh, you can also summon 11 other versions of Feh equipped with past accessories. The Feh Legendary Hero summoning event lasts until midnight of 1st April 2019, UTC. Unlike previous Legendary and Mythic summoning events, the initial 5-star summoning rate is 0%. Yes, a big fat zero. So probably not all that different to normal summoning events! To celebrate the occasion, all Summoners will receive a Head Orb accessory via the Present List. Sniff, they really do spoil us… Now if you’ll excuse me, my Halloween Sakura is going to wear this with great pride. 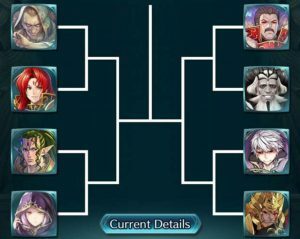 In other news, there’s something called a Voting Gauntlet featuring a bunch of ne’er-do-wells. No matter who you side with, the world is almost certainly doomed. The things we do for Orbs… As usual, the event lasts for 6 days. For more info, please check here. I’m pulling for the Feh with another Feh on her head lol. Did the Owl just talk?! There is more effort in making this banner compared to the story in Heroes (which is a joke). I wanted to laugh, the joke is funny (although I swear people have made this before). But with the recent orb reduction, saturated pools and broken actual units, this feels like showing a 10 score after a man just jumped off a cliff. I know they aren’t mocking us, but feels like it.